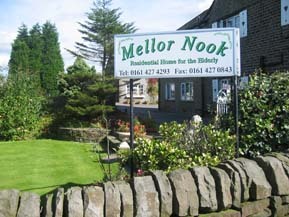 The aim of this guide is for Mellor Nook to promote good practice. 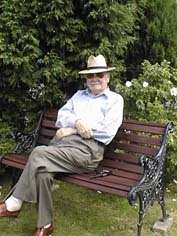 One important element of good practice is to guard against any kind of exploitation, neglect or abuse of residents. An environment which is constantly seeking to improve the life and care of residents automatically tends to guard against bad practice. In spite of registration, inspection, internal monitoring, quality assurance systems and codes of practice, regrettably abuse can occur. Sometimes this may be unwitting or unintentional perhaps through ignorance or neglect. At other times, however, it may be deliberate, whether subtle or overtly cruel. There is now greater recognition of the fact that abuse does occur and a fuller understanding of how it arises. Abuse is the harming of another individual usually by someone who is in a position of power, trust or authority over that individual. The harm may be physical, psychological or emotional or it may be directed at exploiting the vulnerability of the victim in more subtle ways (for example, through denying access to people who can come to the aid of the victim, or through misuse or misappropriation of his or her financial resources). The threat or use of punishment is also a form of abuse. Abuse may happen as a 'one-off' occurrence or it may become a regular feature of a relationship. Other people may be unaware that it is happening and for this reason it may be difficult to detect. In many cases, it is a criminal offence. Rough handling or unnecessary physical force, either deliberate or unintentional, used in caring for a resident is abuse. Injuries may not always be visible although often there may be bruises, broken skin, cuts, burns or broken bones. During an episode of abuse, damage to property or clothing may also occur. Restraining residents so that they cannot move, or by shutting them in a room, is abusive. However, it may sometimes be difficult to draw the dividing line between justifiable and unjustifiable restraint. Playing on someone's emotions to make him or her afraid, uneasy or unnecessarily dependent is another form of abuse. Exploiting a resident through using personal information gained through the caring relationship is an abuse of the trust vested in the carer. Financial abuse includes the improper use or control of, or the withholding of, a person's money, pension book, property, bank account or other valuables. · over-work, lack of appreciation, low pay and low self-esteem may all contribute to the development of an environment in which abuse becomes an accepted feature of daily life. · the development of a working environment which values staff, does not demand too much of them and rewards them adequately. · a casual approach to resident privacy where staff walk into rooms unannounced, doors are left open when residents use the toilet, staff talk about residents over their heads or divulge confidential information. The quality of life in the home is underpinned by the qualities of leadership and competence shown by Jim, Eleanor and their seniors. Beyond that, much depends on the calibre of the staff team. It is essential that basic good practice in staff recruitment, training and supervision is observed. · report the incident to a senior manager straightaway. · the manager should then decide what action to take (for example, invoke the disciplinary procedure, take evidence, call in the police or the adult protection unit). · contact the police and ask for immediate help. In some circumstances, staff themselves may be subject to abuse from residents or residents may abuse each other. Sexual advances and verbal abuse are not uncommon. Racist behaviour from and between residents can and does occur. Staff may find this difficult to talk about and handle. They may react inappropriately. Mellor Nook through its training and support systems attempt to managing such behaviour.